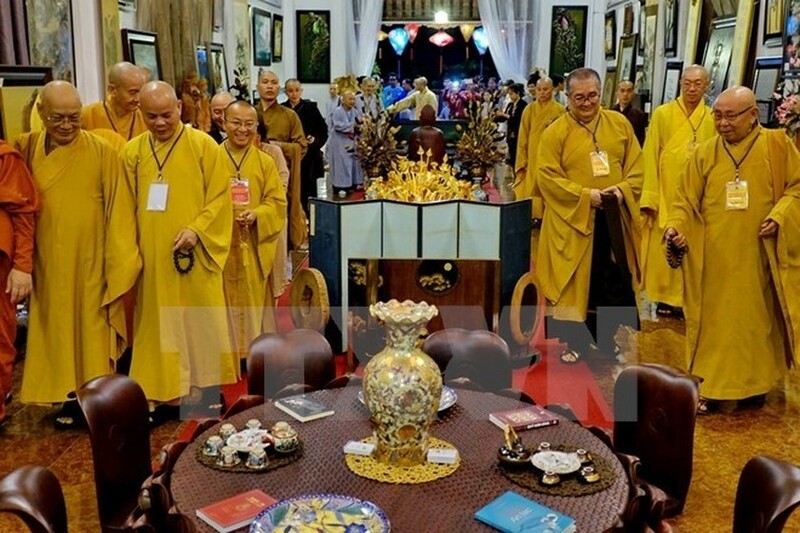 A ceremony to celebrate the 35th founding anniversary of the Vietnam Buddhist Sangha (VBS) took place at Vietnam Quoc Tu (national pagoda) in Ho Chi Minh City on November 5. Speaking at the event, Most Venerable Thich Thien Nhon, President of the VBS Executive Council, highlighted the VBS’s contributions to the nation over the past 35 years. He praised the VBS’s municipal chapter for its significant achievements in organisation, culture, education and external affairs. The chapter has raised more than 2.6 trillion VND (116.8 million USD) for charitable activities during the period, he noted. On behalf of the local authorities, Nguyen Hoang Nang, President of the Vietnam Fatherland Front (VFF)’s HCM City chapter congratulated the VBS on the anniversary, affirming that the establishment of the Sangha 35 years ago met the aspiration of Buddhist monks, nuns and followers at home and abroad. He stated the VBS and its HCM chapter have worked to enhance solidarity among Vietnamese, contributing to the overall development of the country. Nang said he believes the local chapter will make greater contributions to the national construction and development in the time to come. On the occasion, the chapter handed over 1 billion VND (nearly 45,000 USD) to the Vietnam Fatherland Front to support flood victims in the central region.